The Polk Street Beautification Project is a non-profit organization of committed neighbors formed for the purpose of adding visual enhancements to South Polk Street and adjoining neighborhoods. The purpose of this initiative is to promote, encourage and develop community beautification activities utilizing Polk St, a gateway to most of the area neighborhoods. 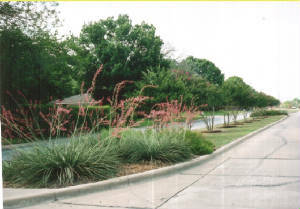 The "VISION" of this project includes the landscaping of medians on Polk St between Hwy 67 and Interstate 20. The "HOPE" is that the added beautification seen on Polk St. will encourage a greater demonstration of pride and beauty within each adjoining neighborhood. The "GOAL" is to add value to our neighborhoods thru community revitalization efforts that will include clean-up, green-up and fix-up. The "PLAN" is to unite our neighbors, residents and businesses in this effort. The goal of the Polk Street Beautification Project is to add aesthetic value to our community thru beautiful Crepe Myrtle trees, flowering shrubbery and seasonal floral beds. Go to our newsletter page and join our email list. THANKS TO ALBERTSONS DFW STORES FOR A GENEROUS DONATION. 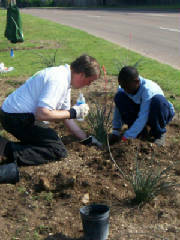 YOUR SUPPORT OF OUR COMMUNITY EFFORT OF ADDING VISUAL IMPROVEMENTS TO OAK CLIFF IS APPRECIATED. Volunteers are needed for frequent trash pick-up. Please help us keep our community clean. Please contact us at 214/374-0766 to sign-up. WE WANT TO HEAR FROM YOU. PLEASE SIGN OUR GUESTBOOK!